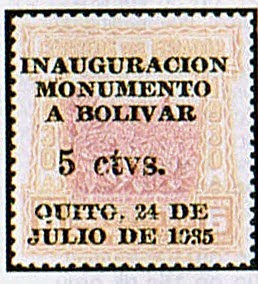 In 1935, Ecuador overprinted some stamps of its 1930 Centenary and 1930-44 Plane Issues, producing 5,000 compound sets celebrating the unveiling of a monument to Simon Bolivar, the "George Washington of South America" (Scott #331-38, C35-38). Scott '11 prices the unused set at $87.90 . The set should do well, as it honors a man who is perhaps the most popular South American of all time. 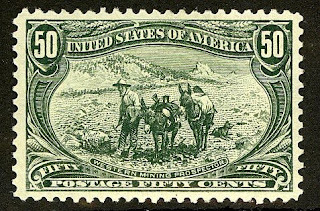 Many of those who collect Ecuador also collect stamps of South America, Central America, or all of Latin America, so demand tends to be more generalized than usual. This is not to say that there isn't demand originating from collectors focusing on the individual country as well, but rather that the tendency to collect the whole region is an important factor to consider. Ecuador, a democratic republic of 13.6 million people, is considered a medium-income country, with about 38% of its population living below the poverty line. Ecuador's natural resources include petroleum, fish, shrimp, timber and gold. In addition, it has a prosperous agricultural sector, producing bananas, flowers, coffee, cacao, sugar, tropical fruits, palm oil, palm hearts, rice, roses, and corn. While Ecuador's economy suffered during the 2008-09 financial crisis, weathering a default and repurchase of its debt at a discount, it seems to be recovering. Annual GDP growth over the last 5 years has averaged almost 5%. I've begun a new blog, "The Stamp Specialist", which will feature wholesale buy prices for stamps which I am interested in purchasing. 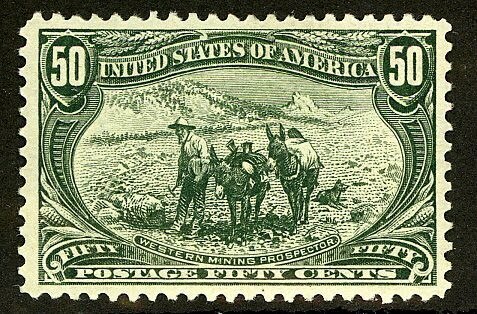 The first such buy list is for Mexico, and includes the stamp recommended in this article. Viewing dealers' buy lists every now and then is an excellent way to keep current on the vagaries of the stamp market.